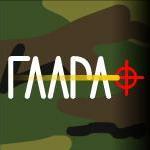 FAAPA has been disbanded. It happened about a year ago when a neighbor had issues with us playing on the field and got the City of Fremont on our case. The net effect was a 'Cease and Dessist' order from the City. Due to the loss of our only field, we had little choice but to shut FAAPA down. This site remains standing only as a testament to the good times and hard work that went into the group. It was good while it lasted, but now it's over. or click on the link at the bottom of the page. Remnant currently operates 1-2 times a month and has exclusive access to a private field for RemAir members only. We also usualy are present for CQB City's minor games. Furthermore, all members enjoy a 10% discount on all pick up orders from Airsoftordinance.net. We do have a limited number of spots on our roster, but may make special exception for persons living in Fremont. Note that there is a $10 start up cost for new RemAir members as well as a $3/month ($36/year) membership fee. The initial $10 gets you a RemAir team patch and a brown uniform undershirt. Membership dues go to fund team BBQs, Christmas party and a variety of other things. Click to visit the current Remnant Airsoft forums.